Sometimes true life really is the stuff of stories. Inching to Wisdom is packed with tales of growing and becoming and wondering and weeping. You will find observations of the world around, awe for those who came before, and hope for the generations taking over now. Here and there you will find some recipes because when you come over to my place, I will, you can be sure, feed you! So join me in a little bit of my world to fill your heart, mind and belly. Dates and Details Coming Soon! Eva Nagel's inviting literary montage "Inching To Wisdom" is like a morning meditation, a warm cup of tea, a heartfelt talk, and sage smoke all at once calming, transforming and awakening the senses From the inner landscape of the soul to the outer landscape of her world travels, with insightful honesty her stories and recipes weave together a rich and abundant world of possibility; where everyday life is illuminated by all the little truths we find along the way. 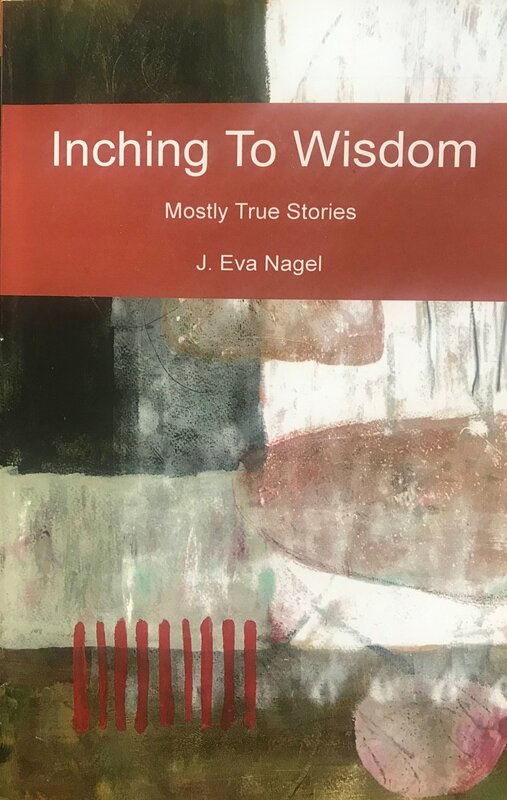 With grace, humor, and a few tears along the way, "Inching To Wisdom” goes beyond the pearls of wisdom, recipes included, of a homegrown activist and community elder. This collection of essays invites us into the world of a daughter of Woodstock, eloquently capturing the spirit of adventure, hope and a little magic that defined a generation. Let us take these lessons of the connections between global and local, men and women, adults and children, and life and death forward. Herein lies the free spirited optimism and honest self-reflection that the Twitter generation will need to change the world. Joanna Dreby, author of Divided by Borders and Everyday Illegal. Eva Nagel’s stories reflect a life committed to family, community, education, and social justice. I watched her bring Waldorf education to Saratoga Springs and trauma counseling to veterans and victims of Rwandan genocide. She is an effective leader. I respect leaders who know themselves; act from their strengths and share their vulnerabilities. Eva demonstrates that capacity as she shares her journey, guideposts, challenges and decisions. She helps us understand our own experiences and gives the next generation a head start on theirs.